Arsenal were able to come out of Old Trafford with a 2-2 draw to their name. The Gunners gave in a mixed performance during the fixture, and were arguably gifted both their goals through mistakes from Manchester United – the first from De Gea’s carelessness, and the second through an own-goal from Marcos Rojo. In the second case, it was argued that substitute Alexandre Lacazette ought to have received the credit for the goal instead. However, that wasn’t the only instance during the night when the Frenchman argued that he had scored, with the second one being an interesting sight. 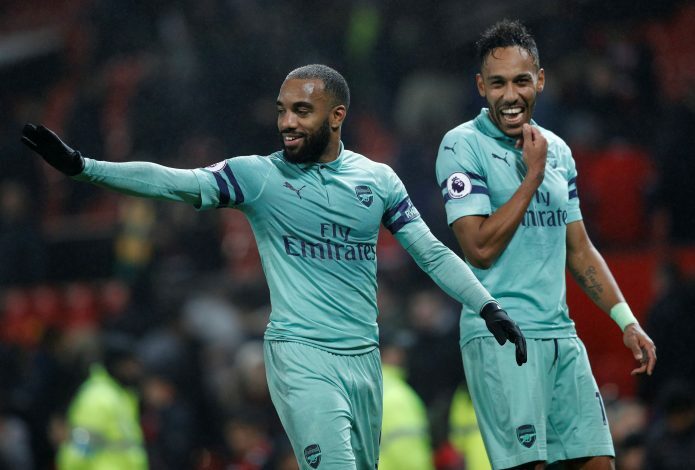 During the 88th minute, right when the game was beginning to heat up and both sides were determined to give the fixture their all and take home three points, a peculiar tussle occurred between De Gea and Lacazette. The Spanish goalkeeper had just saved the ball and was preparing to hoist it to the opposite side of the field. Prior to him doing that, the French striker head-butted the ball out of his grasp and proceeded to net it and claim that it was a valid goal. De Gea was in immediate denial of what had occurred, and the referee eventually disallowed the goal, citing that no player can dispossess the keeper when the ball is still in their control, irrespective of whether or not the shot-stopper is holding it with one hand or two. Former referee Phil Dowd, while speaking to BT Sport, gave the following explanation for the ‘one-hand’ argument: “The law has changed, I don’t know when. Passionate Gunners still argued that the goal had to have been allowed, citing intriguing passages from the rule-book to make their case. A similar instance happened a few years ago, when Diego Costa was functioning for Chelsea, but during that scenario, the ball was only just given up by the keeper. It is interesting to see if such a sight occurs again, and if Arsenal fans truly hold this instance, with Herrera being partially offside before assisting the Martial goal as their coping mechanism for the draw.